This entry was posted on March 16, 2016 by Jessica Anderson. 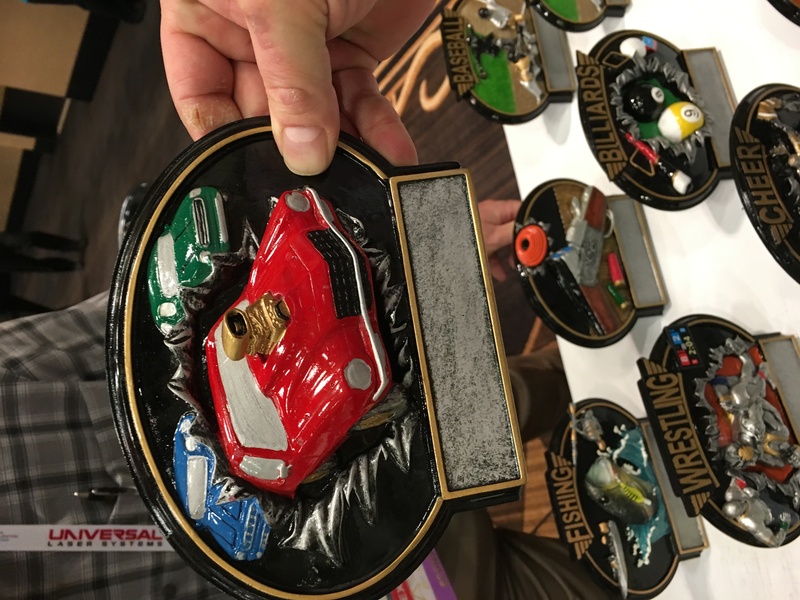 Last week at the 2016 Awards and Personalization Association (APA) trade show in Las Vegas, I saw all of the newest products in the trophy and awards industry. 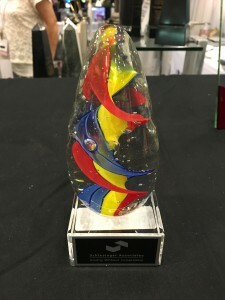 Sports resins, fantasy football awards, color printers, crystal corporate awards, promotional products and apparel were all featured at the show. After walking the show, I have narrowed down the best new awards that Trophies2Go will be adding to our 2016 product line. Read below to find out what's hot for spring. 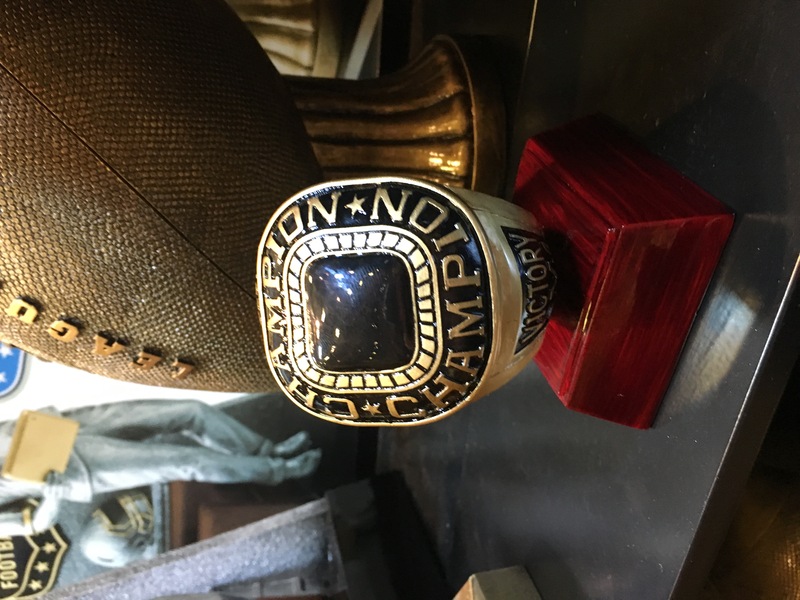 This ring will be a hit with Fantasy Football Winners. 1. 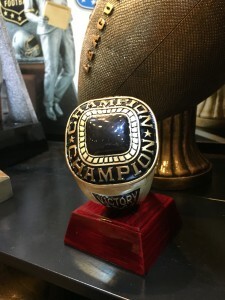 Fantasy Football Ring - the new fantasy football ring award will be a hit with fantasy commissioners in 2016. This resin award can be attached to a perpetual base to immortalize winners each year! We also found a fantasy football bobble head, which features a fan on his laptop checking out his team. 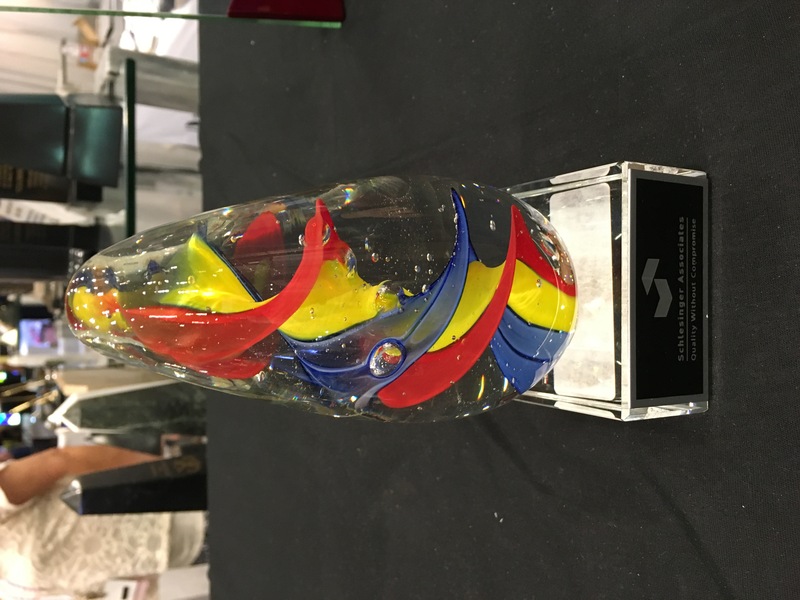 This new art glass award features vibrant colors! 2. New Art Glass awards for corporate recognition - Art glass awards, a popular choice with our customers, are a great value. Inexpensive and beautiful to look at, we found many new colors and shapes of art glass, including this primary color beauty from Tropar. Burst Thru resin awards feature bright colors and fun designs, such as this one for car shows! 3. 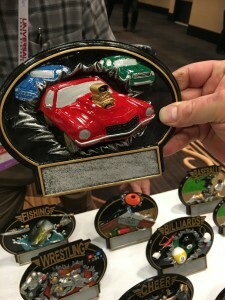 Resin Sport Awards - we call this particular line of resin plaques "Burst Thrus" because the image seems to be bursting through the awards, creating a 3-D effect. One supplier, Tower Awards, offers some beautiful new Burst Thrus with vibrant colors in all kinds of sports and activities. 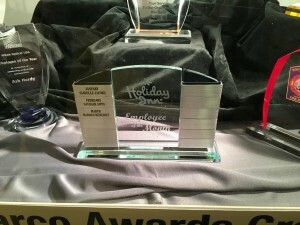 Glass perpetual awards make great recognition for Employee of the Month awardees. 4. 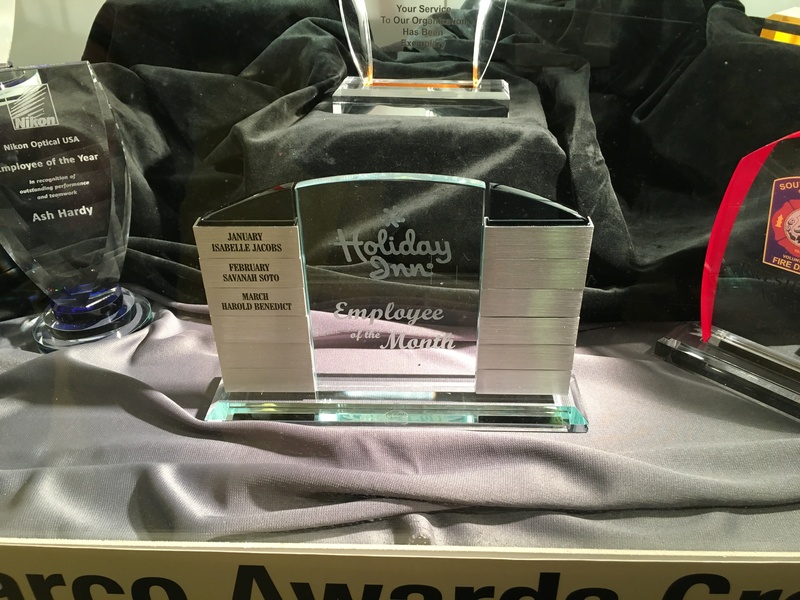 Perpetual Corporate Awards - We found some unique glass and crystal perpetual trophies for corporate achievement. Made by Marco, this award features little glass blocks can be engraved with the winners' name, date and achievement and then stacked on the award. This is a great option for awards you want to last longer than just one use, such as Employee of the Month awards or recognition for Years of Service. 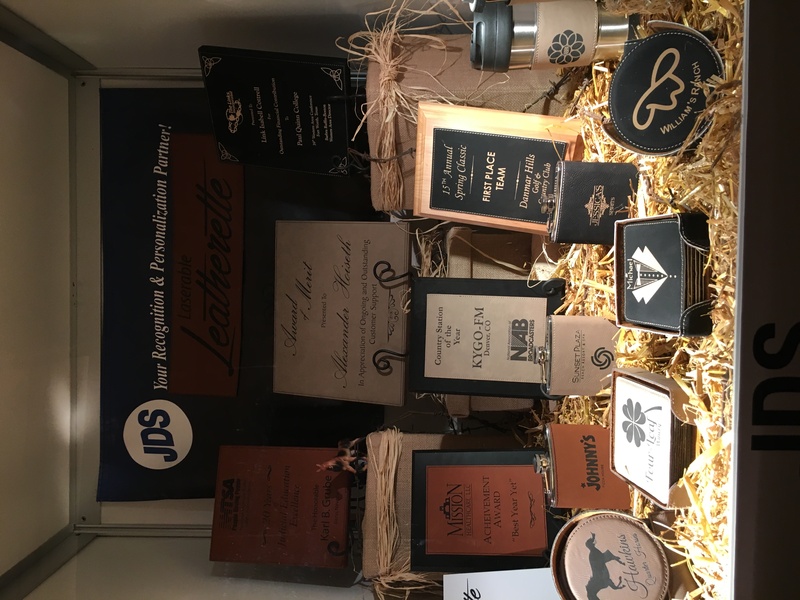 Leatherette awards engrave beautifully and are a hot new trend in awards for 2016. 5. 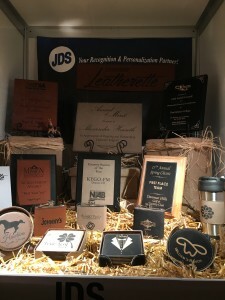 Leatherette Awards and Gifts: Made by our supplier JDS, leatherette is a huge trend this season. Many products feature a tan, rust or black colored exterior, laser engraved with a logo and message. These new products are quite impressive and will be added to the Trophies2Go online offerings soon. Overall, the APA show was a great success! Thank you for suppliers for featuring all of your new products for us to touch and feel. It's going to be a great year!